A shielding gas (argon, helium, or both) is used to avoid the atmospheric contamination of the molten metal weld pool. Filler metal may be added if required. Welding current, inert gas supply, water is turned on. Electric arc is struck between the non-consumable electrode and the work piece by touching the electrode with work piece or using a high frequency until. In 1st method arc is initially struck on a scrap metal piece and then broken by increasing arc length. In 2nd method a high frequency current is supper-imposed on the welding current. Welding torch is brought near to the job when electrode tip reaches within a distance of 3 to 2 mm from job. A spark jumps across the air gap between the electrode and job. Air path gets ionized and arc is established. 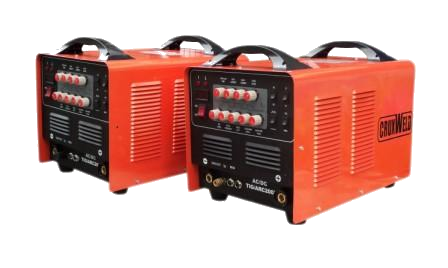 TIG welding is also known as Gas Tungsten Arc Welding Machine (GTAW) both the AC and DC power source can be used for GTAW electrode employed varies in dia from 0.5 to 6.5 mm carrying current from 5A to 650A; welding torch used for carrying current higher than 1000A is normally water cooled. GTAW is all position (1G, 2G, 3G, 4G.6G) welding and gives the highest quantity weld amongst commonly used arc welding process. a) Welding torch, tungsten electrode and filler rod. b) Welding power source, high frequency unit, DC suppressor unit and cables. c) Inert gas cylinder for shielding purpose, pressure regulator, flow meter. e) Gas and water solenoid valve. 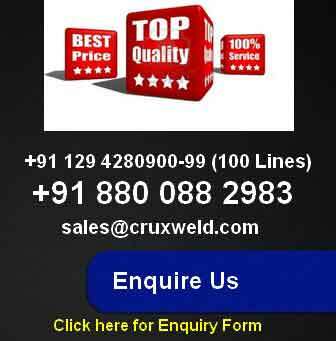 a) TIG welding is very suitable for high quality welding of thin material. b) Deeper penetration can be achieved through this process. c) No flux is used so there is no danger of flux entrapment. d) As this process can be seen with the help of goggle therefore operator can exercise a better control on the welding process. e) TIG is very suitable for welding of non-ferrous metals and stainless steel. f) TIG welding is suitable for welding in all positions (1G, 2G, 3G, 4G, 6G). a) MIG welding is much faster process as compared to TIG welding under similar application. b) Tungsten if transfer to molten weld pool can contaminate the same. c) Tungsten inclusion is hard and brittle. 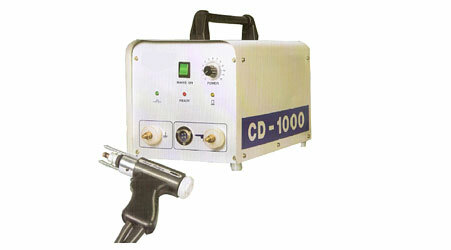 d) TIG welding equipment is more costly as compared to other welding equipment. e) Skill or trained operator is required for welding. a) Basically welding of aluminium, magnesium, copper, nickel and their alloys, carbon, alloys or stainless steel, high temperature and hard surfacing alloys such as zirconium, titanium etc. b) Welding sheet metal and thinner section. c) Precision welding in automatic energy aircraft chemical and instrument industries. The process involves fusing two pieces of sheet metal together by penetrating entirely through one piece into the other. No joint preparation is required except proper cleaning of the overlap areas. The main operation in arc spot welding is to strike and hold an arc without travel at a point where the two parts to be joined are held tightly together. A vented metal nozzle of a shape to suit the application is fitted to the MIG gun and is pressed against the workpiece at the desired area. The operation is carried out for a period of 1-5 seconds and a slug is melted between the parts to be joined. Timing is usually controlled automatically with the help of a timer. Thus, the process time can be varied to achieve welds of different sizes depending upon the thickness of the sheets. Arc initiation is a critical part of the process and therefore must be reliable and consistent. This is easy to achieve by a flat characteristics power source and clean surface of the work. GMAW spot welding is a highly adaptable process which requires very little manipulative skill; does not require the use of a welding helmet. It is an extremely fast process and can be fully automated. Due to addition of extra metal the weld slug is free from piping defects. A wire composition different from the base metal may be used to control cracking, porosity, or strength. 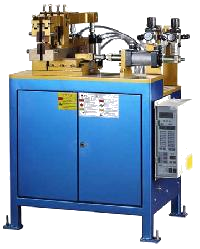 Argon and CO2 are shielding gases commonly used for GMAW spot welding. GMAW arc spot process can be used more efficiently for downhand welding position. It can be successfully employed for horizontal position but fails for overhead welding position. This process does not require a hole to be made in either member, thus in differs from plug welding in that respect. As the upper member is required to be melted through and through, its thickness is normally restricted to 3 mm. The thickness of the second member is not important. Through lap joints are the most often used type of joint for arc spot welding but fillet joints can also be successfully made by this process. In this process the metal from the electrode wire scours deeply into the weld crater. This breaks up the oxide films at the faying surfaces so that the process can be used as successfully on aluminum as on mild, low alloys, and stainless steels.